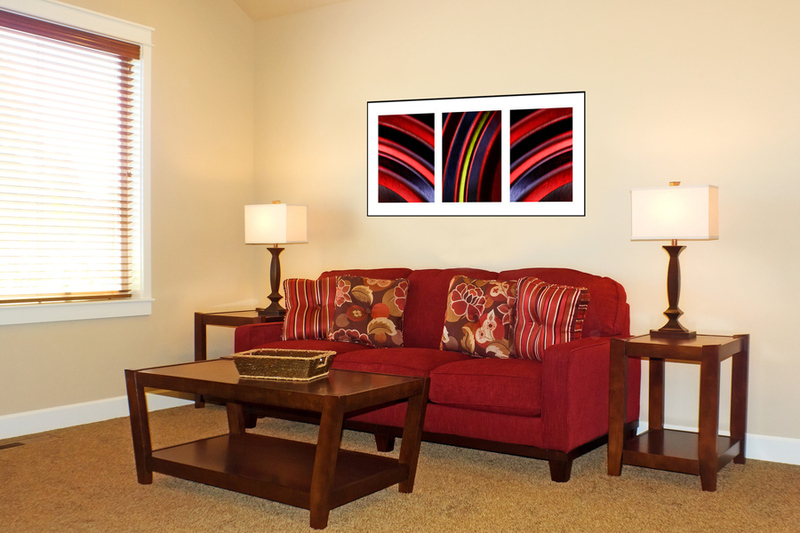 As the title suggests, ‘Genesis’ is about beginnings. A metaphor for our own life’s journey, we see the first signs of life sprouting forth – a singular shaft of green asserts itself, heralding new growth and the beginning of new life. Blood red veins are fashioned from out of the darkness and emerge to flank the central panel, nourishing and affirming the fragile life held within. At the same time they pulsate with a promise of fuelling and embracing an unknown future. 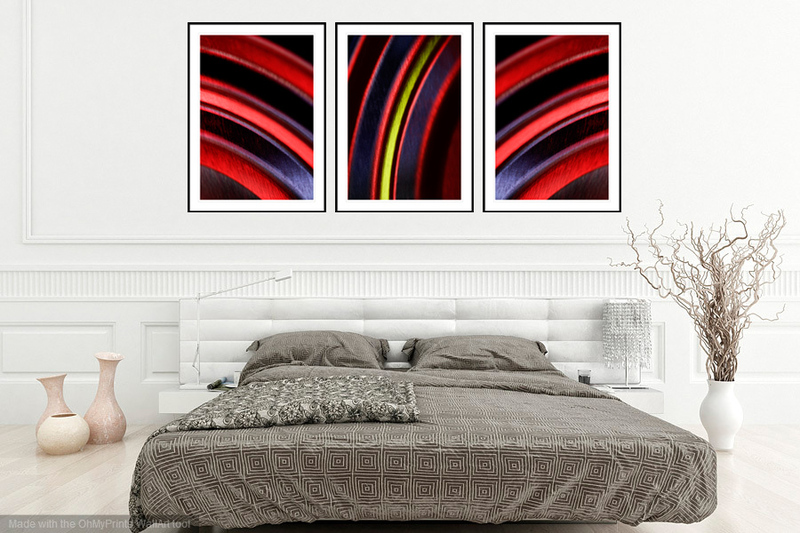 ‘Genesis’ is a triptych sold as three separate prints which can be framed individually or matted within a single frame.